Sports Rendezvous: Balague's LaLiga wrap: Bizarre Barcelona miss out on history. Balague's LaLiga wrap: Bizarre Barcelona miss out on history. 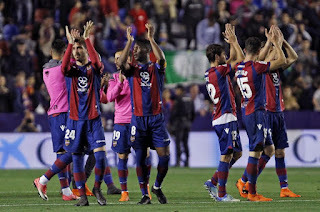 Barcelona, just two games short of being crowned Spanish football’s ‘history boys’, will now forever be remembered as the ‘nearly men’ of the 2017-18 La Liga season – despite winning the league at a canter. But also as double champions, league and cup. What a bizarre season for Ernesto Valverde’s team. It would be said that it was not a great idea to give your star man the weekend off just two matches away from the club’s date with destiny, but the team scored four goals.